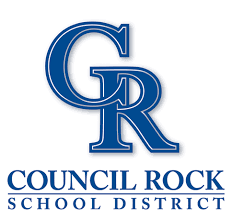 I had been a part of the Council Rock School District since first grade, all the way through Council Rock High School South. During my high school education, I was always taking classes that involved technology in some way. These included classes such as AP Computer Programming, Robotics, and Web Design. I was also the vice-president of the Strategy club, in which we set up activities that focused around problem solving and analytical thinking. By far the most enjoyable times took place in my AP Computer Science class, which helped to prepare me for my Computer Programming classes at Temple University. Temple University was my first choice when during my last year in high school. I already knew what I wanted to do after I took AP Computer Science, and entered Temple as a major in Computer Science. While I enjoyed my various computer science classes and was still very enthusiastic about computer programming, I slowly became disillusioned with my major and eventually made the decision to transfer to Fox as a major in Management Information Systems. Currently, I am working towards my undergraduate degree and enjoying learning more about the various aspects of Management Information Systems.